The motorcycles are off-road versions of RE’s Classic 350 and 500. Both gets spoke wheels, dual-purpose tyres and an upswept exhaust. Bookings have already commenced across RE dealerships. Deliveries to commence from tomorrow. 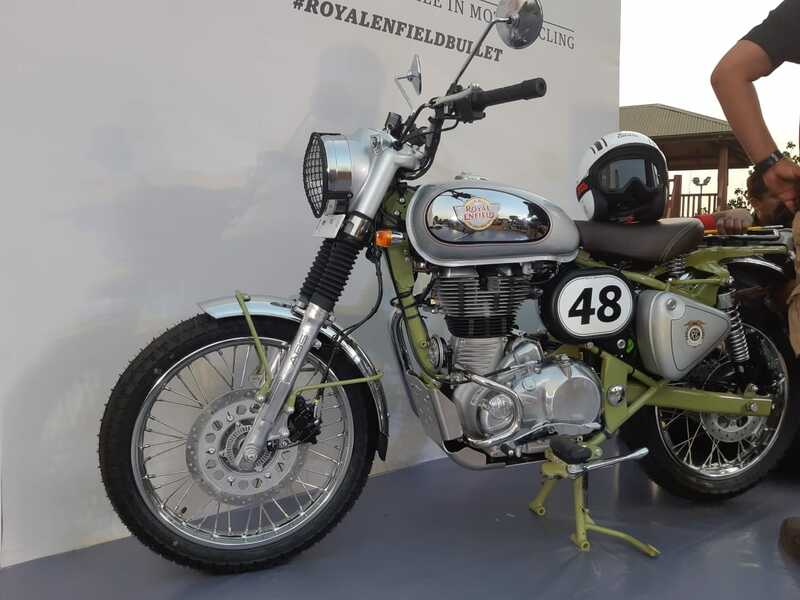 Royal Enfield has launched the Bullet Trials 350 and Bullet Trials 500, a modern-day scrambler based on the Classic 350 and Classic 500, in the country. The Trials 350 is priced at Rs 1.62 lakh while the Trials 500 will set you back by Rs 2.07 lakh (both, ex-showroom Delhi). That is a premium of Rs 9,100 and Rs 5,720 over the Classic 350 and 500, respectively. Bookings have already commenced across all RE dealerships in the country, with deliveries scheduled to start as early as tomorrow. Both the Trials 350 and Trials 500 is based on the company’s Classic range and thus carries the same design language. However, unlike the standard range, the frame seems to be painted in red as opposed to black. Additionally, the new motorcycle also gets a 3D Royal Enfield logo on the fuel tank. While the headlight unit appears to be the same round unit, it now comes with a chrome nacelle. To cement its off-road credentials, the Trials gets a raised rear fender for a longer suspension travel. It also gets an upswept exhaust along with 19-inch front and 18-inch rear spoke wheels shod with dual-purpose tyres from Ceat. 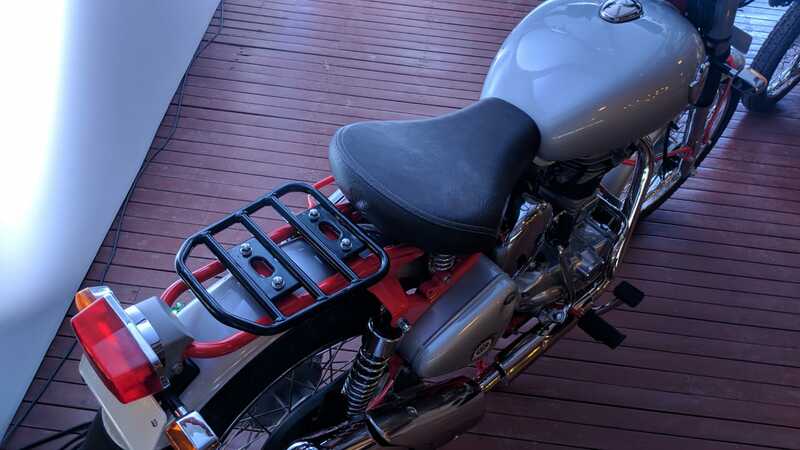 While Classic owners could retro-fit a pillion seat, Royal Enfield has kitted this bike with a luggage rack. Both bikes get telescopic forks at the front and twin shock absorbers at the rear. Braking is via 280mm front and 240mm rear disc, with dual-channel ABS offered as standard. 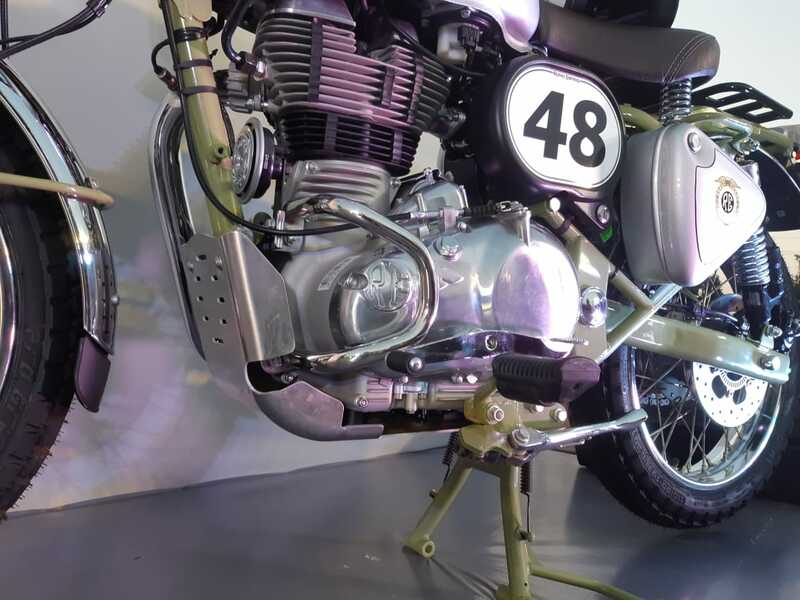 Powering the motorcycle is the same engine as the Classic 350 and Classic 500. The Trials 350 is powered by a 346cc single-cylinder engine that churns out 20PS of power and 28Nm of torque. The Trials 500, on the other hand, packs a 499cc single-cylinder motor that generates 27.5PS of power and 41.3Nm of torque. Both motors come paired to a 5-speed transmission. 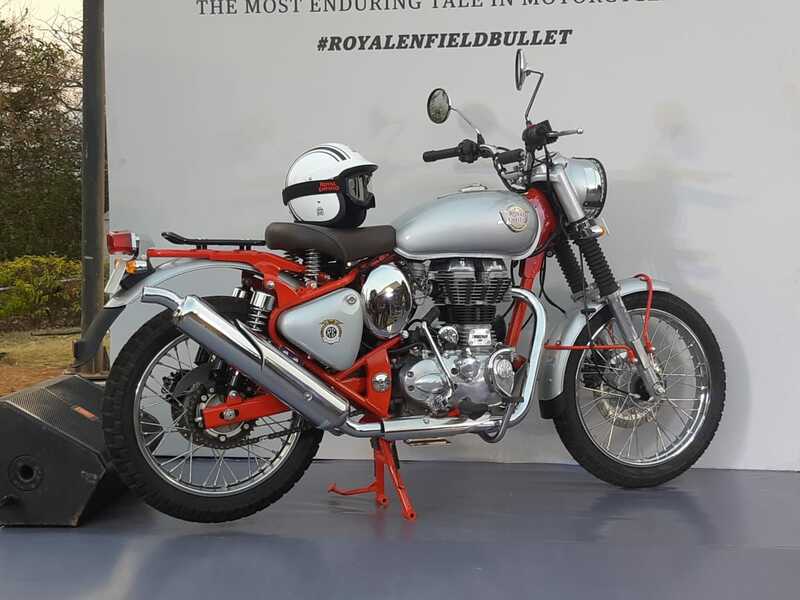 Currently, the Royal Enfield Bullet Trials 350 and Bullet Trials 500 have no natural rivals in their price range. There is a sizeable price gap to the next motorcycle in this very same genre - the Triumph Street Scrambler.